Neil Young’s new album, “The Monsanto Years,” aims to shine a light on the chemical company’s manipulation of our food supply, but the songs are so awful that no one is likely to listen. A new music review of Neil Young’s new album “The Monsanto Years’ that appeared Friday, June 26 in the New York Daily News says the songs leave on wondering why he didn’t choose a quicker, clearer and simpler way to get his message across. Hadn’t he thought of writing an op-ed? The new album, the author writes, sinks decent riffs and an earnest message in unlistenably didactic lyrics. 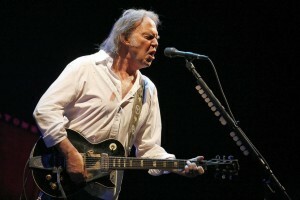 Quoting the article: “The band supporting Young has some appeal. The 69-year-old star worked with musicians decades his junior: Lukas and Micah Nelson, the guitar-playing sons of Willie Nelson. They brought in some of their young friends from their band Promise of the Real. 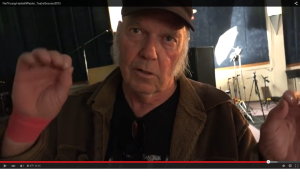 Here’s a mini-documentary on Neil Young’s new album The Monsanto Years – a behind-the-scenes trailer shedding some light on the album and how the collaboration came about. What I am trying to figure out, is it “The Promise of the Real” or “Promise of the Real,” because then it doesn’t need a “the” in front of it. In a series of interviews, they explain the collaborative process, plus just hanging out and jamming. One thing they confirm is Young’s unpredictably. You just can’t rehearse too much. Wrecks the spontaneity. 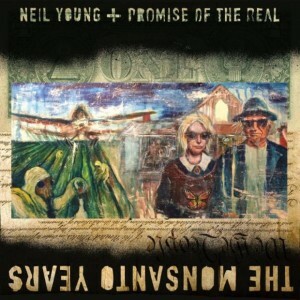 The Monsanto Years is due out on June 29 through Reprise. 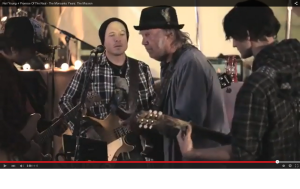 Neil Young and Promise of the REAL from Teatro Sessions, 2015. 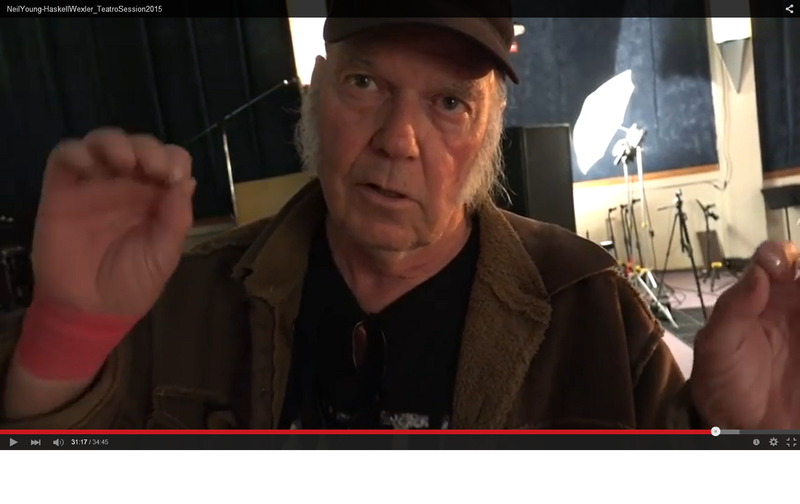 Haskell Wexler follows Neil Young getting out of his electric LincVolt and into the studio during rehearsals. A real down home feel to it all. Wexler is an American cinematographer, film producer, and director. 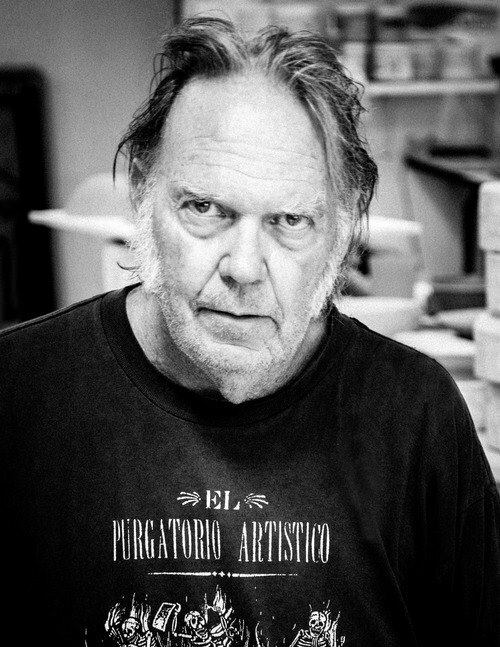 Wexler was judged to be one of film history’s ten most influential cinematographers in a survey of the members of the International Cinematographers Guild. He filmed Young in his LincVolt back in March.